Have you ever had a pain in the neck? And your kids or significant other don’t count. If you’ve ever had a stiff, sore neck then you’ve more than likely experienced cervicalgia. You’re not alone. The American Osteopathic Association estimates that more than 25% of Americans have experienced or chronically experience neck pain. 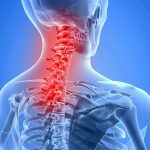 In fact, neck pain is one of the primary causes of chronic pain, ranking number three behind knee pain (number two) and back pain (number one). Chronic pain affects around 65% of people in the United States, ranging in age from 18 to 34. They either have experienced it firsthand or care for someone who has recently experienced it. That number increases as the population ages. It is also worth noting that most doctors prescribe pain medications but more than 33% of patients with chronic pain won’t take them because they are afraid of becoming addicted. Cervicalgia is a blanket term used to describe neck pain. It can range from a simple “crick in the neck” to severe pain that prevents you from turning your head. 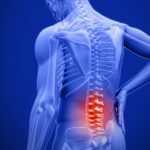 Knowing the term for the pain, though, does not help when it comes to treatment because treatment lies in the cause of the pain. It can become quite complex because there are so many causes for the pain. Sometimes the cause itself must be eliminated before the treatments for the pain can be effective. What are the Causes of Cervicalgia? The causes of cervicalgia are vast and varied. A patient who sits at their desk for too long or sleeps in a poor position can develop neck pain. 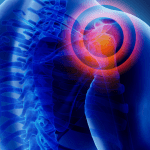 Injuries such as sports injuries and whiplash fall at the more severe end of the spectrum. Even simple gravity can be a culprit. The human head can weigh as much as 10 pounds, sometimes even more and the neck is tasked with keeping it upright. Just the action of fighting gravity and keeping the head erect for long periods of time (like all day) can cause the neck muscles to become strained and fatigued. This can also cause neck injuries to heal slower because the neck is almost constantly in use and under consistent stress. Treatment for cervicalgia depends on both the symptoms and the cause. If you have been injured, you should seek medical attention immediately to assess the severity of the injury. You can apply ice to help reduce inflammation and swelling, but do not delay a medical evaluation. 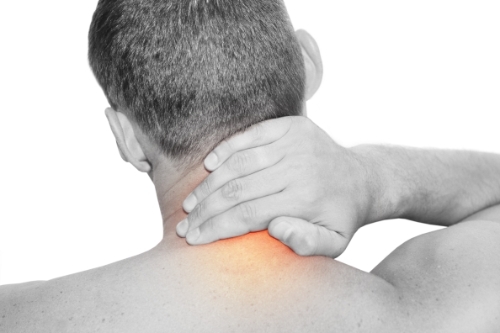 Some neck injuries can be serious, causing very serious conditions including paralysis. After assessment, your doctor may prescribe medication such as anti-inflammatories and stronger painkillers. A cervical collar may also be recommended since it allows the neck to rest which will promote healing. If the pain is caused by other reasons such as stress, poor posture, or sleeping on the wrong pillow (in other words, you have a crick in your neck), you can use an over the counter anti-inflammatory medication and using a heating pad will help. Massage is also effective. However, prevention is the best cure. When you know what is causing your cervicalgia, you can take steps to prevent it. Chiropractic can help both in prevent cervicalgia and in treating it. Chiropractic treatment can help relieve the pain from cervicalgia for many of the causes, including injury, stress, and misalignment. Depending on the cause, the chiropractor will use specific techniques to treat the root of the problem. They will bring the body back into alignment which also helps to prevent the pain of cervicalgia. The most attractive aspect is that it allows for pain management without the use of any medications. When you get regular chiropractic care, you can actually reduce your chances of experiencing pain in your neck and back. That is why so many people are choosing chiropractic care for their neck and back pain instead of turning to traditional medicine – because it works.